More spinning! This time some Shetland and Mohair, from November issue of HilltopCloud’s Best of British Club. An unusual but extremely lovely combination of fibres in a gorgeous colourway, the very aptly-named (for December) Sitka Spruce. Again I spun it up before I took a picture of the braid! 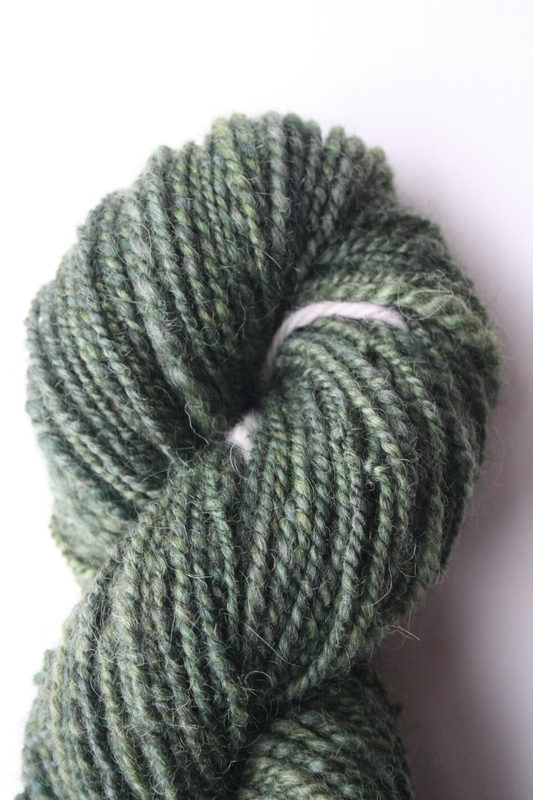 I tried something a little different to my normal spinning and opted to aim for a heavier-weight yarn. The colours look great all spun up and sitting in a row though. I got 91 yds of a 2-ply Aran / Bulky weight yarn. It looks and feels fabulous, especially since it was my first time spinning a thicker yarn on the wheel. Tags: best-of-british, fibre, mohair, shetland, spin, spinning, wheel | Permalink.